Dr. Alain Cuerrier is an Adjunct Professor in the Department of Biological Sciences at the University of Montreal, as well as a Botanist and Researcher at the Montreal Botanical Garden. He received his M.Sc. and Ph.D. in Biological Sciences from the University of Montreal. He worked at Harvard University during his PhD and this helped him achieve his current positions. Alain is also a writer and poet. He recently contributed to a book on Medicinal Plants thriving in the arctic and he has published a book of poetry in French. Alain is here with us today to tell us all about his journey through life and science. Alain loves to write, read, and tap into his musical side. Lately, he has been having fun playing the banjo and harmonica. He works at the intersection of plants and people. The projects in Alain’s lab focus on understanding how people use plants and how they perceive nature. Though he is not exactly sure when his interest in science began, Alain remembers that he had gravitated toward environmental science as early as secondary school. At that time, he was choosing projects related to the impacts of nuclear power on the environment and how trees near lakes affected the water and surrounding environment. One of the struggles that Alain faces in his work is getting funding. This is particularly challenging in the field of traditional medicine because colleagues and grant reviewers may not believe in it. There can also be difficulties with getting their papers on traditional medicine published in good pharmacological journals. Alain received funding to host congress at the Montreal Botanical Garden this June with 30-40 First Nations. The group will discuss issues related to health, territory, plants, and the environment. This is an exciting opportunity to get people together, talk about the challenges they face, and work towards solutions. In 2001, Alain joined the Montreal Botanical Garden as a new researcher. He was thrilled to have the opportunity to travel to north that summer to visit the Canadian subarctic to collect specimens. As a plant taxonomist, it was exciting to see new plants and observe how these plants coped with the harsh environment. 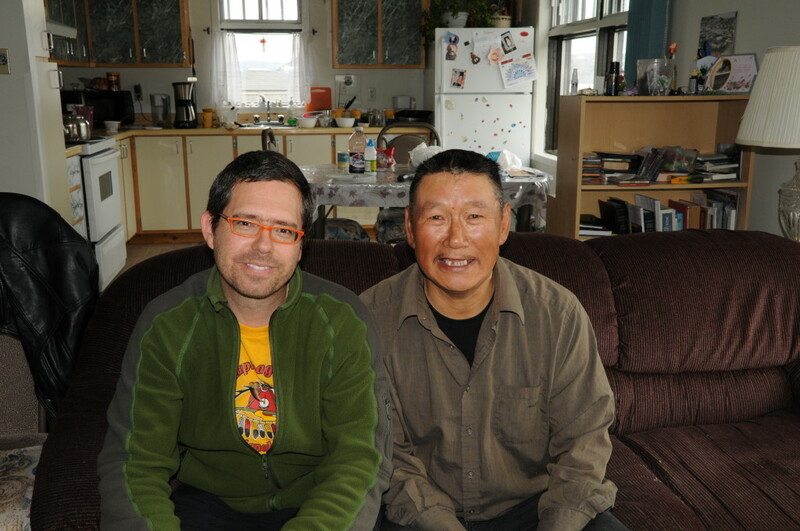 During an interview with members of the Cree people in their homes, the son of Alain’s gracious host approached him with a plate of dried caribou intestine with a bowl of fresh blood. The child offered them up as a sort of chip and dip snack. Not wanting to offend his gracious hosts, Alain started to reach for the plate. Fortunately for Alain, it was just a joke and after a good laugh, he did not have to sample the unexpected cuisine. Concentrate on a few things rather than trying to pursue too many things at once. Researcher at the Montreal Botanical Garden and writer, Dr. Alain Cuerrier earned his PhD in plant systematics (University of Montreal with one year at Harvard University) before switching to ethnobotany in 2001. He participated at the creation of the First Nations Garden in Montreal as well as in Laquenexy (France). Since then, he has started ethnobotanical and ethno-ecological projects with the Inuit, Innu, Naskapi, and Cree people. As member of the Canadian Institute Health Research Team in Aboriginal Antidiabetic Medicines, he has been active in traditional medicine since 2003. Alain Cuerrier is a member of the Plant Biology Research Institute, adjunct professor at University of Montreal, member of ArcticNet, and Quebec Centre for Biodiversity Science. He has been vice-president of the Natural Health Product Research Society of Canada from 2010-2013 and is now president of the International Society of Ethnobiology. Dr. Alain Cuerrier has published more than 8 books on plant uses by First Nations and Inuit of Canada.